I was born in the middle of Brazil in a town where if you want to see the ocean you have to get your car and drive for 12 hours or get a plane. The name of my city is Campo Grande MS, and my whole family is from there. 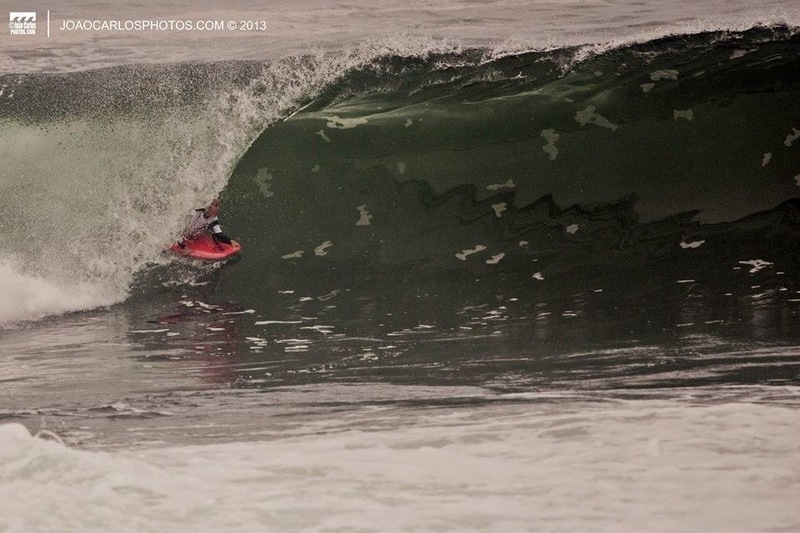 That city is kind of a country city, so I can say that I am a country bodyboarder…HEHEHE! 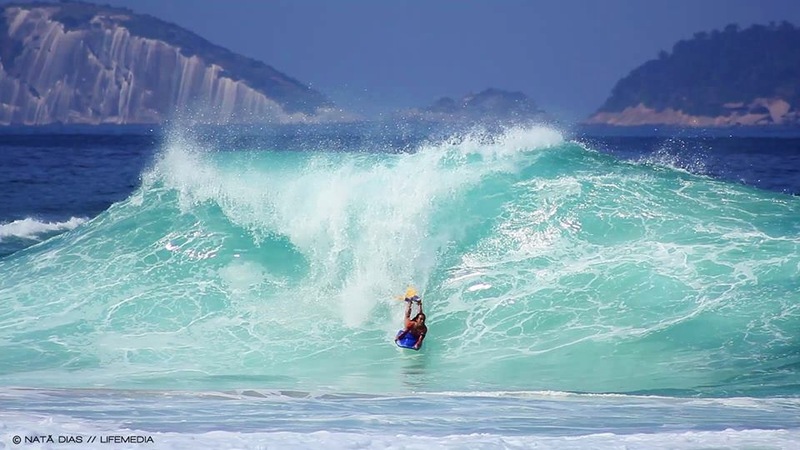 I moved to Sao Vicente, a city near Sao Vicente, because of my Dad’s job and over there I started to get my first waves when I was 14 years old. Before doing bodyboarding I did all kinds of sports that you can imagine, I did voleey ball, basket ball, handball, capoeira, jiu jitsu, muaytai and compete for many many years roller blade. I lived for 10 years in Sao Vicente and because of my training my dad moved to Guaruja. Guaruja is an island near Sao Vicente, and the waves there are really god. Because of moving over there I started to have best results in my contests and better sponsors as well. I am really glad for all the sponsors that I had before, without them I wouldn’t do anything that I have today. 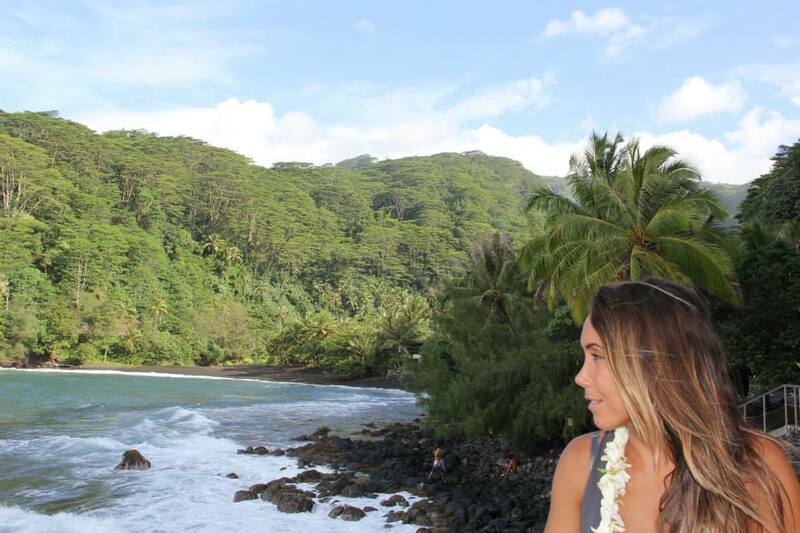 In 2006 I went for the first time to Hawaii to compete the world tour and since then I am travelling the world competing and surfing waves of dreams. I have the pleasure to be in such beautiful places that I never dreamed before. Hawaii, Tahiti, Peru, Chile, Uruguai, Nicaragua, Portugal and now going for the first time to Indonesia. I am very glad about what life gave to me, I can’t complain about it. My first competition was when I was 15 and since then I have a lot of wins and loses. I can’t remember all my titles now, but I would like to remember of the ones that made me really happy. My 2th position in the Brazilian tour in 2013, 3th position Brazilian tour 2014, 20th position in the world tour. I have titles from the cities that I compete in Brazil, like Santista Champion, Guarujense Champion, Vice Champion, Champion Paulista. Now I live in Florianapolis, but I am training in California before going to Indonesia and still have the dream to be one of the best bodyboarder’s in the world, not just competing, but surfing waves that usually girls don’t do, like pipeline and teahupoo in real conditions. I am surfing and training as much as I can, but now I am focusing on finishing my University. I do UFSC in south of Brazil in the city of Florianopolis. I am doing Communication. I hope in the future to work as a journalist. I still compete a lot, and hope to keep doing it for years, but with the economy in Brazil, every year is getting more difficult to keep going. I would like to travel the whole world, there are still a lot of places that I would like to know. As an athlete I would like to be in the top numbers 5 in the world tour. 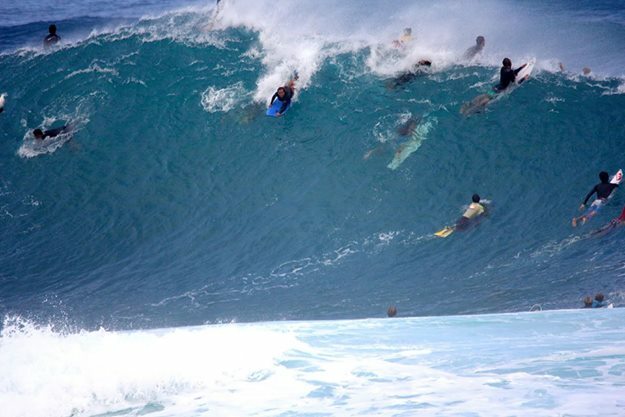 I believe that being a professional bodyboarder there’re all kinds of difficulties, even in training and also to compete. We have to train hard to be ready for all kinds of waves. I have many injuries too, I am always scratching my legs in the rocks or reefs. Sometimes I hurt my back, my knees and even my head. I almost died many times…hehehe… I think god really protects me, because I am putting myself in dangerous situations all the time. I like to surf big waves, not those waves for town in…hehehehe…but waves that usually girls don’t surf. Surfing Pipeline and Teahupoo makes me feel very satisfied. Also I love when I make finals or win a contest. I really like to train in the water, but I have other types of techniques that I use out of the water. I try to work out every day in the gym, doing all kinds of exercises, I do jogging, ride my bicycle and do some stretching too. Other thing that helps a lot is watching bodyboarding movies, and I watch my waves, then I always try to see what is wrong and fix it when I go surfing. I always try to go to my limits, when my body asks me to stop then I do, but I try to train as much as I can. I am very focused so this helps, when u want something so much and go for it, is the key for the success. I don’t like to lose in the first heat, I think the first one is always more difficult than the other heats. I don’t care if I am surfing with the world champion or a girl that just started u can lose from both if u are not focused. I always put in my mind that I had been training hard and I can make it. My biggest fan…hehehehe! I guess my dad, he always tells about me to everyone, even if he goes to a bakery and talks to the cashier who never heard about bodyboarding he will say about me, and how proud he is. I really love my dad, and he has a big part in all that I am today. 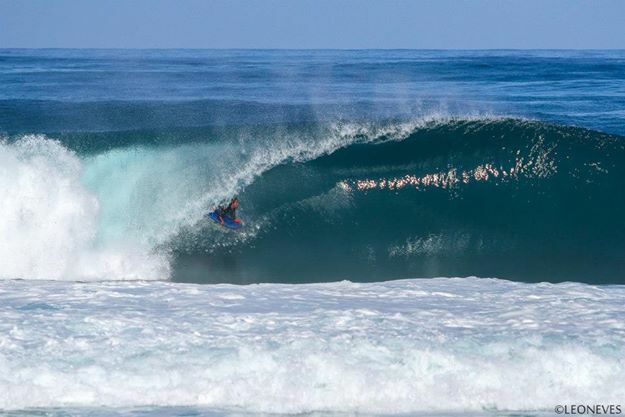 The World Champion Guilherme Tamega gave me once an advice and with what he said I got one of my best barrels in Teahpoo Tahiti. My Dad gave me a lot of advices for competing that I use until these days. I want to work as a reporter for sports. I always wanted to work in the television, but I never worked hard to do it before, now I am focused on that, I guess this will make me really happy. I wish to keep competing bodyboading forever and I will try it. I know that will be a time that maybe my body won’t be able to do it anymore, but I can’t see myself saying one day that I am retiring as I saw my friends doing. I will always try to go to every contest that I can. Maybe one day people will see an old lady going to surf with her grey hair, and that will be me…hehehehe. 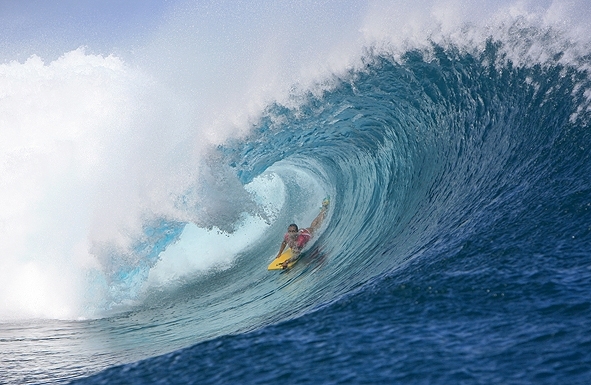 If you really love to do bodyboarding, do it with all your love and give your best.